I asked everyone to tell me what tutorial they wanted and C++ won. 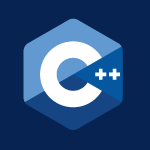 In this tutorial I show you how to install C / C++ and NetBeans on both Windows and MacOS. I decided to use NetBeans because I think it is the best C++ IDE on every operating system. Here is the link for Minimalist GNU, NetBeans and XCode. I’ll also be covering Arduino at the same time because of the interest in it. Fee free to use any IDE, because C++ code works on all of them. If you enjoy my tutorials consider donating $1, or simply turn off AdBlocker. Either helps me to make more tutorials.